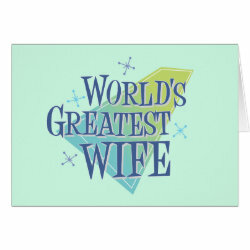 More... text-transform: none; white-space: normal; widows: auto; word-spacing: 0px; -webkit-text-stroke-width: 0px; background-color: #ffffff; display: inline !important; float: none;">This is a fun original retro-style design done in shades of green and blue. 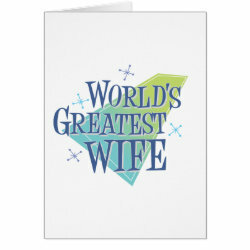 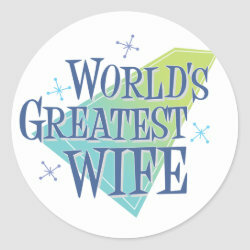 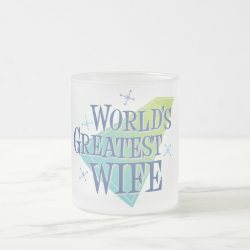 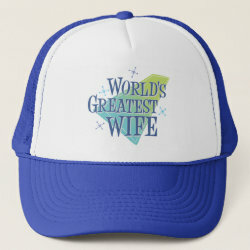 A bold geometric shape backs funky text reading World's Greatest Wife. 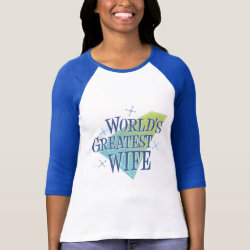 This makes a great gift for your wife on her birthday or any other time you want to honor your spouse with an original token of your affection.